Oriens Aviation, the exclusive British Isles sales distributor for the PC-12 added to Pilatus Aircraft’s excellent year in 2017, bringing five new aircraft into service with new customers; selling its original demonstrator (G-RABB) and securing its first new-build delivery position for 2018. Oriens delivered an aircraft to a private owner in Oxford in March; one to Leeds-based entrepreneur Neil Armstrong in June, coinciding with the Goodwood Festival of Speed and a third to Chris Makin, owner of newly named Leeds East Airport, in December. Ravenair is this aircraft’s operator and management company, operating under EASA PART-NCO Lease Operations. Told CEO and owner Edwin Brenninkmeyer, who has personally logged over 4,000 hours’ flying time, undertaking over 150 demo flights last year. 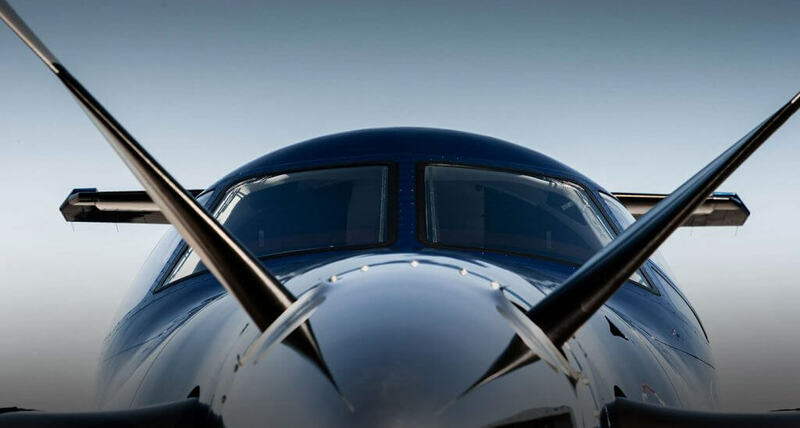 “The interest in the PC-12 continues to grow. Its versatility, exclusivity, affordability, comfortable and generous cabin makes it unmatched in its class,” added Oriens Sales Director Craig Lammiman. He believes it will not be long before the aircraft is operating on commercial charter IFR under an UK AOC. Accordingly, Oriens Aviation is ready to facilitate the process for entities seeking to get PC-12s on an AOC. “As part of our responsibility for sales in the region and our closeness to European PC-12 customers, we are well placed to play a facilitating and advisory role for UK based commercial operators, or European PC-12 operators, and assist any owners who may choose to put their aircraft under aircraft management and gain revenue from charter,” Edwin Brenninkmeyer added. Furthermore, Oriens has reinforced its commitment to the aircraft by setting up a dedicated Pilatus Service Centre, following its recent acquisition of Avalon Aero’s London Biggin Hill MRO. The business, newly renamed Oriens Maintenance Services Ltd, will be formally introduced to customers, suppliers and industry guests, supported by representatives from Pilatus, this week.